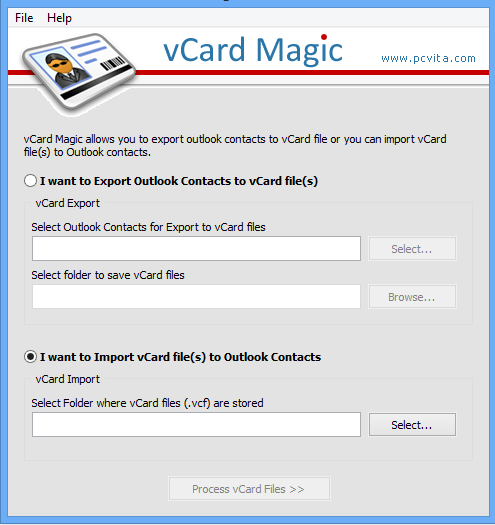 Download and install software from our website and launch it by going to Start>> Program >> Convert vCard. Software will show this startup wizard. 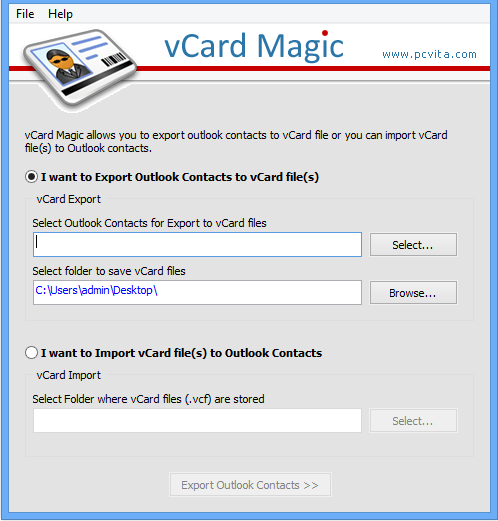 Select the option "I want to Import vCard file(s) to Outlook Contacts" from the given software window. 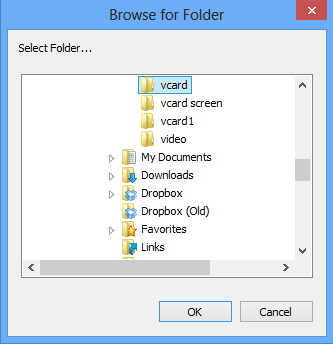 Now select the folder containing vCard files from above stated Software window and Click OK. Software will prompt message dialogue box specifying the number of vCard files found in selected folder. 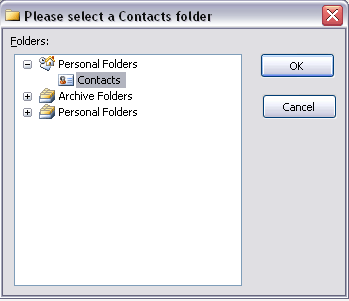 Click Ok.
As soon as you click ok button, Software will ask you to select outlook contact folder where you want to import all vCard files. 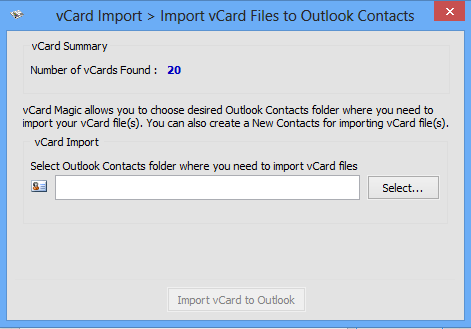 Select contact folder of any configured account of MS outlook, then click Ok.
After specifying contact folder, Click "Import vCard to outlook" button to start importing vCard files.